It is a good time to take a quick look at the role of animal research in the development of some of the treatments, both those used to prevent angina and heart attacks and those used to treat them. Statins are an important class of drugs used to reduce cholesterol levels and reduce the risk of heart attack or stroke in individuals with high cholesterol levels and pre-existing cardiovascular disease or at high risk of developing CHD, and animal studies undertaken by Dr Akira Endo played a key role in demonstrating that statins could block the production of cholesterol and lower circulating LDL cholesterol (a.k.a. “bad” cholesterol). Another important class of drugs are the Beta-blockers, which among a range of benefits have revolutionized the treatment of angina and are also effective in reducing the risk of a 2nd heart attack after a first one. The first Beta blockers were developed by Sir James Black and colleagues at ICI through screening studies using isolated ex vivo guinea pig heart muscle and follow-up studies in anaesthetised cats that allowed them to monitor a wide range of cardiovascular functions. In 1981 the first ACE Inhibitor – Captopril – was introduced, proving highly effective in treating hypertension and thereby reducing the risk of stroke and heart attack. The discovery and development of Captopril rested on studies undertaken by Kevin Ng and John Vane which demonstrated that when the peptide angiotensin I was passed through the pulmonary circulation (from the hearth to the lungs and returning to the heart) of anaesthetised dogs it was converted peptide to angiotensin II, which then causes blood vessels to constrict and increases blood pressure. 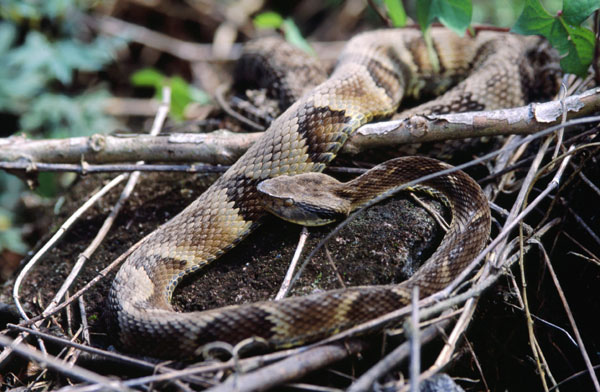 It was then discovered that the enzyme responsible for this conversion – angiotensin-converting enzyme (ACE) – could be inhibited by a peptide called bradykinin potentiating factor (BPF) that had been isolated from the venom of the pit viper Bothrops jararaca by Sérgio Ferreira. The discovery of BPF led, via an innovative drug development program, to the development of Captopril. The development of effective medications to prevent CHD and to reduce the risk of ill health and mortality in CHD is not the only important medical innovation that has reduced mortality, surgical innovations have also saved many lives. Coronary artery bypass surgery has helped to reduce deaths from angina and following heart attacks, and the technique used today was developed by Dr. John Connolly through experimental surgery in dogs. Studies in dogs were also key to the development of the techniques of heart transplantation by Dr. Norman Shumway, a surgical technique that began to achieve it’s full potential in the 1980’s following the discovery –through animal studies – of the immunosuppressive drug cyclosporine. Of course both these operations depended on the earlier development of the heart-lung machine. Despite the reductions achieved CHD is still the leading cause of death in Europe – as it is in the United States – so more needs to be done to reduce the toll. Prevention is a key factor, while the numbers of people who smoke has decreases substantially in the past 30 years rates of obesity have increased sharply, getting to grips with this rise in obesity through lifestyle changes is one of the greatest public health challenges facing the most economically developed countries. In addition to measures that reduce the numbers of people who develop CHD there is also a great need to improve the therapies available to help people to recover from CHD. Heart failure is one major cause of death, and frequently a consequence of having a heart attack, so new therapies such as Ivabradine for heart failure and angina are very welcome. The search for better therapies is continuing, with the British Heart Foundation’s “Mending Broken Hearts” campaign an excellent example of how researchers are harnessing new technologies and scientific knowledge to discover and develop new treatments. Among the wide varieties of techniques employed, involving studies of humans and a range of animal species, studies of genetically modified Zebrafish are proving very useful, as Dr Tim Chico of the MRC Centre for Developmental and Biomedical Genetics in Sheffield explains in this video. While it is appropriate to note – and celebrate – the progress made in treating heart disease in recent decades, and the key contribution of animal research to that progress, these successes should spur us on to develop even better therapies for CHD and other disorders, and to support and defend the research that will deliver those new therapies. Previous Previous post: Time for a change?